A medical malpractice attorney is a legal expert who assists individuals that have suffered medical malpractice in seeking compensation. An LA medical malpractice attorney may be able to provide assistance if you have been injured as the result of a negligent physician. Medical malpractice law holds doctors and other medical treatment providers liable when they cause harm by acting negligently in their duties. Each state has its own medical malpractice laws and procedures to cover specialized personal injury. In general, doctors are determined liable if their treatment does not meet the “standard of care” upheld by their colleagues in similar cases. Medical malpractice is typically divided into several categories, including a failure to diagnose, misreading X-rays, inappropriate prescribing, failing to inform the patient of risks and adverse side effects, performing treatment without informed consent, and mistakes made during delivery. Careless physicians may cause catastrophic injury to their patients. An LA medical malpractice attorney may be able to help you recover damages including medical expenses, pain and suffering, emotional distress, lost wages due to time off from work, deceased earning potential, and punitive damages. You may also be able to recover partial or complete compensation for personal impairment, disfigurement, or the death of a loved one. Medical malpractice cases result in some of the largest damage awards of all personal injury lawsuits. Expert witnesses are often called in to provide a unique perspective on whether your doctor acted according to the basic standards of care in his or her field. Hiring an expert may be prohibitively expensive for patients filing a medical malpractice lawsuit. The expense can drive the cost of bringing a claim to court significantly. Additionally, many public policy groups and politicians actively work against large damage awards in medical malpractice claims. This practice is known as tort reform, and it makes it significantly harder for injured victims to file malpractice lawsuits. Even if you win a lawsuit, tort reform may impose a limit on how much you are able to claim in damages. An LA medical malpractice attorney who is experienced with tort reform laws may be able to help you navigate these obstacles and receive the damages to which you are entitled. When filing a medical malpractice case, retaining an attorney is the first step you should take. Self-representation is usually not advisable in medical malpractice cases since the financial resources and litigation expertise required far exceed that of most people. A reputable law firm can provide numerous resources and represent your interests to the insurance company and opposing legal team. The first stage of working with a medical malpractice attorney begins with a detailed evaluation of the incident in question. Your hospital records and other factual evidence will be gathered and reviewed for depositions. Depositions are formal interviews in which you are asked to give your sworn testimony. Any witnesses to the incident may also be asked to give their depositions during this process. Then, a medical expert will be chosen and asked to review the evidence after drafting a report on your behalf. Once the expert report has been made, it will be given to the defendant’s lawyers and insurance adjuster for review. Settlement negotiations take place before proceeding with a lawsuit. If both sides are able to come to an acceptable compensation agreement, you will receive compensations without having to go to trial. However, if a settlement agreement cannot be made, your case will go to trial where it will be decided by a judge or jury. During the trial process, your LA medical malpractice attorney will comply with various procedural requirements. Even one mistake can result in a dismissal, so it is important to work with a professional you trust. The statute of limitations for your case dictates a very strict timeline in which you are allowed to file paperwork and initiate the lawsuit. If any deadlines are missed, your case may be dismissed. 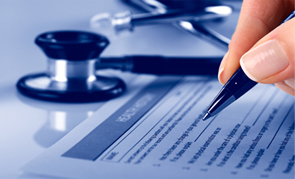 In many cases, your case must also be submitted to a medical review board before moving forward. While it is normal for patients to trust doctors with their care, some cases of medical negligence result in catastrophic injury. For more information on filing a medical malpractice lawsuit, contact Martin Stanley Law at 310-399-2555. An LA medical malpractice attorney may be able to help you navigate the challenging process of filing a lawsuit to receive compensation for your injuries.